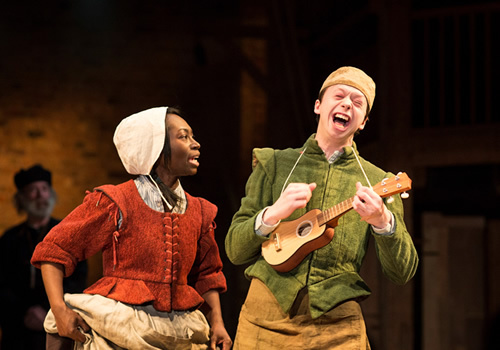 After an acclaimed opening at the RSC’s Swan Theatre in Stratford-upon-Avon in 2016, Angus Jackson’s joyous production of comedy Don Quixote transfers to the West End. 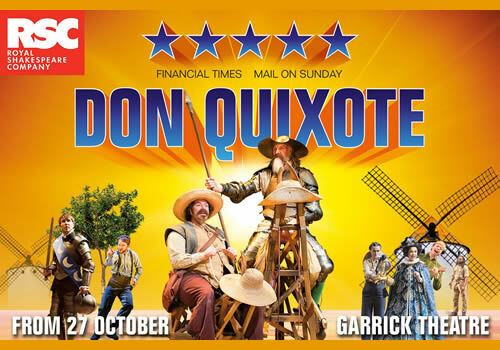 Based on the iconic novel by Miguel de Cervantes, Don Quixote is adapted for the stage by poet and journalist James Fenton, running at London’s Garrick Theatre for a strictly limited season. Originally published in 1615, Don Quixote is the well-known tale of a haphazard knight and his ill-suited companion. Set in a world of rogues, merchants, shepherds and galley-slaves, the title character spends his time reading novels about chivalry. Convinced that this is his calling, he fashions himself as a knight and sets out on an adventure, accompanied by a lance, a sword, and his trusty squire Sancho Panza. As it becomes clear that Don Quixote is losing his grip on reality, it also becomes apparent that Sancho Panza is not best-suited for the exhausting journeys. But, determined to assist the helpless and defeat the wicked, the two embark on a rampant, absurd adventure, where chaos and hilarity ensue. 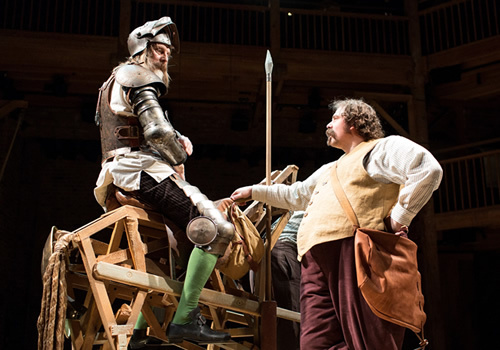 David Threlfall reprises his role as Don Quixote, opposite Rufus Hound as Sancho Panza. Threlfall is best-known for his screen roles, including Channel 4’s Shameless and the BBC/Netflix’s Troy: Fall of a City. He last appeared on stage for the RSC in 1980, in a performance of Nicholas Nickleby. Hound recently appeared on stage in Present Laughter at Chichester Festival Theatre, and has stage credits including Wind in the Willows, One Man Two Guvnors and Dirty Rotten Scoundrels. The pair are joined by Raphael Bushay, John Cummins, Richard Dempsey, Ruth Everett, Gabriel Fleary, Farrell Cox, Richard Leeming, Nicholas Lumley, Natasha Magigi, Will Bliss, Joshua McCord, Bathsheba Piepe, Rosa Robson, Tom McCall, Eleanor Wyld and Timothy Speyer. 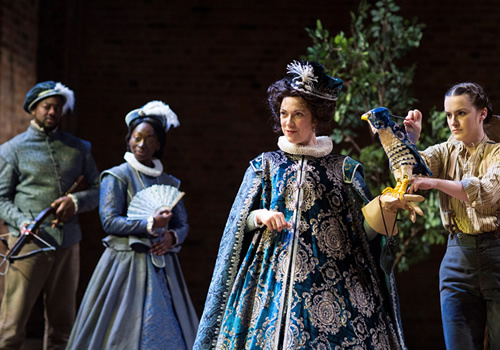 Angus Jackson returns to direct the play, with numerous RSC credits under his belt. The production features design by Robert Innes Hopkins, lighting design by Mark Henderson, sound design by Fergus O’Hare, movement by Lucy Cullingford and fight direction by Malcolm Ransom, with original compositions by Grant Olding. Comedy direction comes courtesy of Cal McCrystal while puppetry design is by Toby Olié and puppetry direction by Olié and Laura Cubitt. 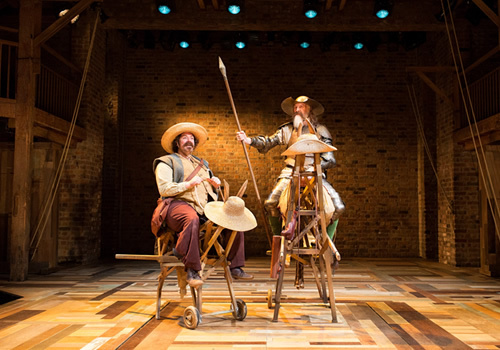 A triumphant adaptation that guarantees to have audiences in stitches, Don Quixote plays at the Garrick Theatre for a limited season. The production runs from 27 October 2018 to 2 February 2019, with an official opening on 8 November 2018.